Hey Hey! I’ve got a funny story for y’all today. I bought a faux Christmas Tree from someone on Facebook. I know you’re laughing but I I thought it would be a good idea. I’m cheap, like really, really cheap. In my area (and probably yours too!) there are local Facebook yardsale type groups where people sell their stuff. There are definitely good finds to be had and I’ve been known to make a few bucks from selling things. Well, I decided since I need a tree earlier in the season than normal, that I would need an artificial tree. Being the cheap-o that I am I went right to one of those FB groups and asked if anyone had one for sell. Low and behold about 5 minutes later I heard the oh-so-familiar ding of a Facebook message. There was a gentlemen who has a 6ft artificial tree for me. 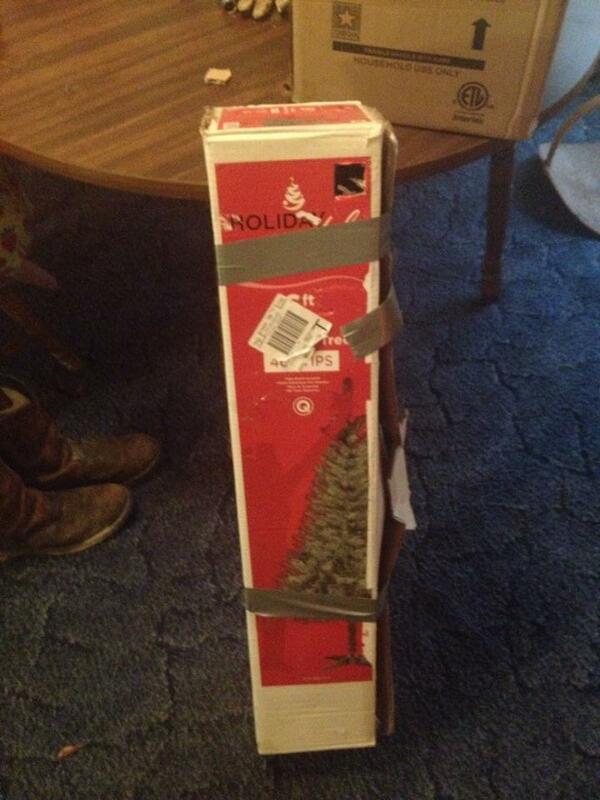 He sent me a picture of it still in the box, wrapped in duct tape. That should have warning sign number one but I was just too excited! He was asking $30 so I talked him down to $25 and I was all “SCOOOORE! !” I made my husband go with my to meet him because, Craigslist killer! Handed him my hard earned $25 and sashayed my behind to the trunk with a smile on my face. Got home and let my 10 year old son put it up for me. Womp! Womp! You can see straight through it! And from the bottom of the tree to where the actual “limbs” start is almost two feet of bare “tree”. Pahahahaha! All I could do was laugh at myself. I really was going for a “Scandinavian” not-so-perfect shaped tree but this was a little too far. This was more like a Charlie Brown tree. But, never to be defeated I came up with something that is…acceptable. Not perfect. Not going in a magazine, but acceptable…..
About 2 years ago a reluctant Lowe’s employee gave me an empty cable spool with “the look” on his face. Ladies, do you know the look? The look MEN give you when they think you’re asking for something unreasonable. Anyway, I painted that table white and added a few casters and it has been used in various rooms in various ways. Pretty sure my son used it as a trash can for a while because it has a big ‘ol hole right down the center. A few more pictures of the little area next to my stairs (which is in the dining room). 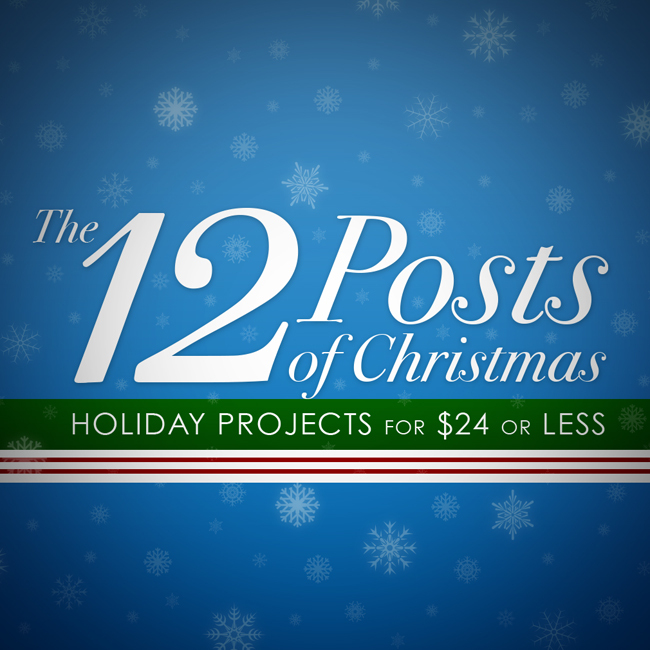 I know you’re wondering why this post is title 12 posts of Christmas. Well, I’ve got a treat for you!! You can see 12 days of Christmas amazingness below! 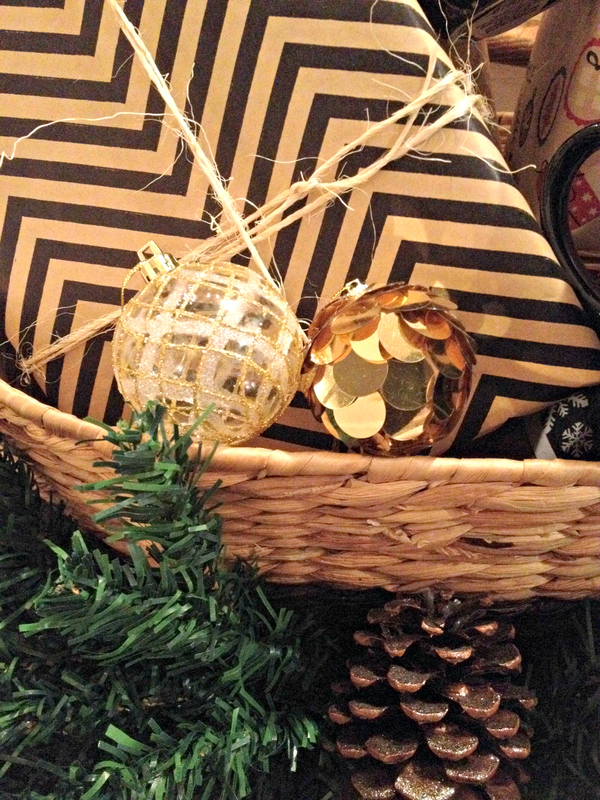 Myself and 11 bloggy friends of mine have come together to give you some Christmas inspiration. Be sure to click through to the ones who came before me today and come back to click the ones that come after me! I love this idea! 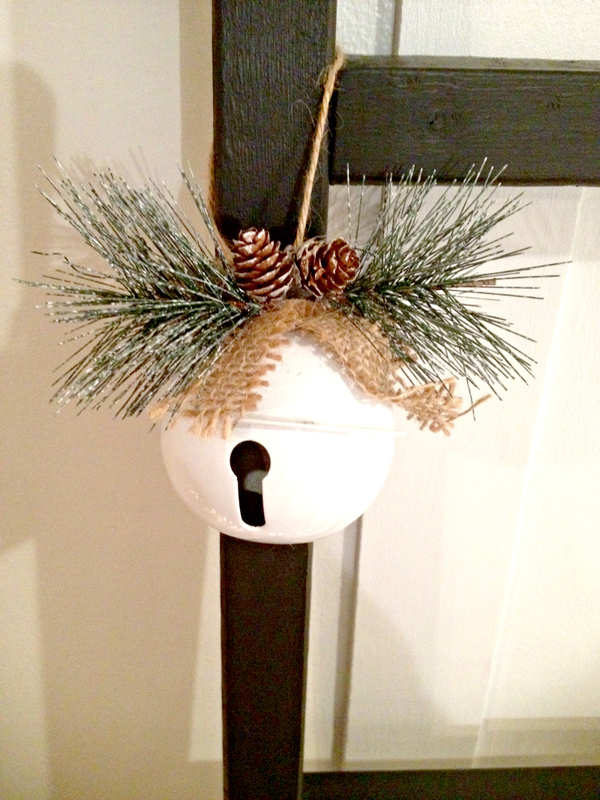 What a great way to disguise the bottom of an artificial tree! I might have to do this in our sun room next year! What size spool is this? Could you please email the measurements to me? Maybe the Charlie Brown tree was a blessing in disguise because it looks absolutely charming, Leigh Anne!!!! Thank you so much for your kind words Christina! I LOVE this so much! What a great way to use that cable spool 🙂 And I totally know the look, ha! You are SO brilliantly creative Leigh Anne!!! 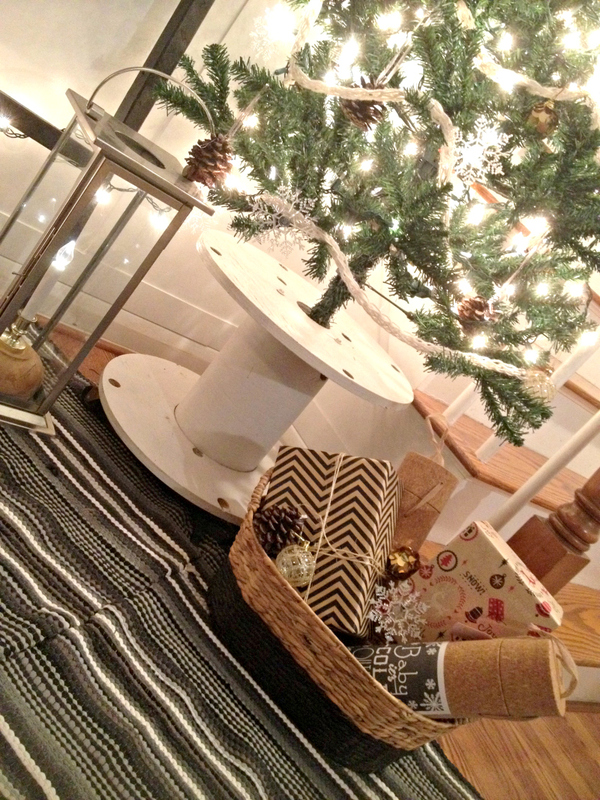 I LOVE that cable spool and never in a million years would have thought to use it at the base of a Christmas tree! It all came together beautifully my friend! Thank you Kristi! I’m glad you like my cable spool Christmas tree stand! Haha! I soooo feel your pain! What a genius idea! 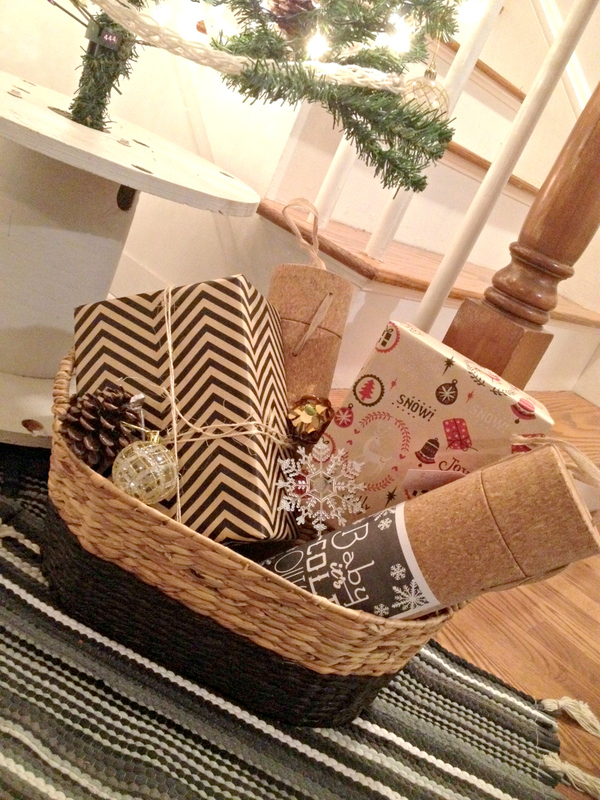 I Love the rustic feel of the spool instead of a tree skirt! Thanks Katie! 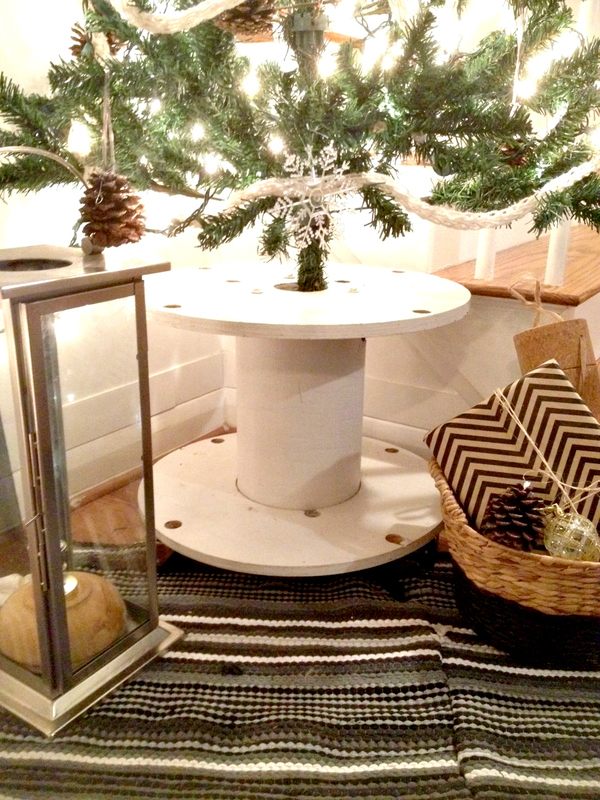 Who knew a cable spool could make such a good tree skirt?! Thanks! 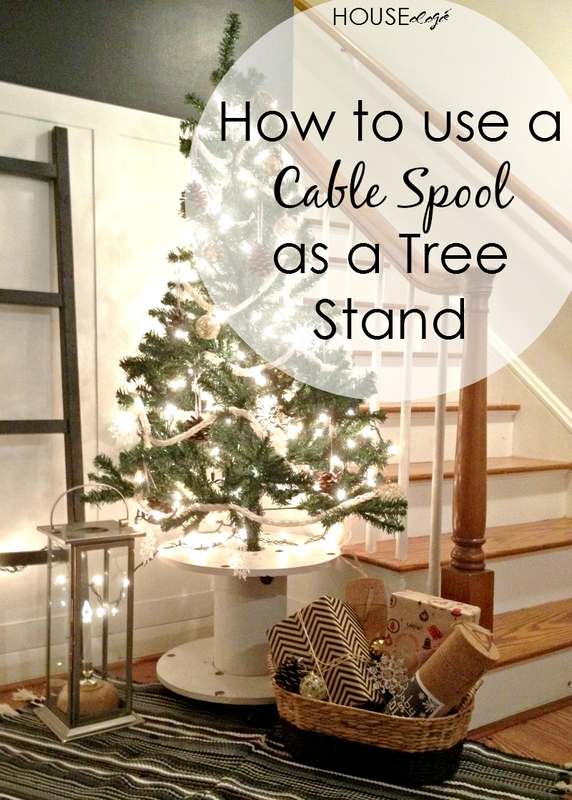 That is great idea to use the cable spool to prevent the kiddo from pulling the tree down. Glad I could help! I know the look, and I think it belongs in a magazine 😉 I have chosen your tree as a feature @ our Inspiration Monday Party! Hope to see you there…2pm EST-Merry Christmas, Leigh Anne! Yay!! Thanks and see ya there!! What a great idea! This is beautiful! 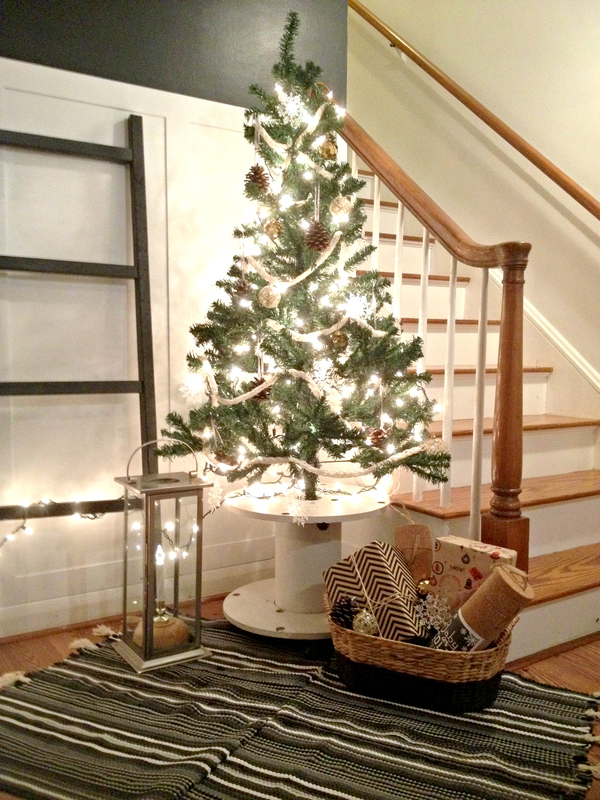 I love this cable spool Christmas tree, Leigh Anne! And if the hardware store man could see it now, he would be making a totally different face; a face of “I was wrong, you were right.” 🙂 Merry Christmas, friend! What a brilliant idea! You’re always so clever. My tree stand seems so boring now. Something the whole family can work on. Staple each circle, rather than glue. I love these simple red and green chains around the Windows, ( I’m talking interior decorating here!). I have used mine for at least 6 Christmases, and they look great. What also looks great is using red and green paper, but various reds and greens, still only solids though. This is helpful should you need more paper chains. It the suppliers have changed their red or green! This chains down railings, over doorways and Windows, are so old-fashioned looking. Absolutely darling. I wanna do one. I love the empty space below the branches that’s the perfect spot to wrap empty boxes with burlap and do a beautiful bow with bells. Keep up the great work inspiring !